I have dental insurance, but you are not on the provider list. Can I still go to you? Unless your dental insurance specifies that you can ONLY see a dentist in your network, such as a dental HMO, you can be treated at this practice and receive an insurance benefit. Your benefit could possibly be reduced, but you are free to be treated at our office and choose the premium quality dentistry that you prefer. We will be happy to file your dental claims and will do our best to help you optimize your insurance benefits. For more dental insurance information, please see our financial page. These are restorations to repair a severely broken tooth by covering all or most of the tooth after removing old fillings, fractured tooth structure, and all decay. The restoration material is made of either gold, porcelain, composites, or even stainless steel. Dentists refer to all of these restorations as “crowns”. However, patients often refer to the tooth colored ones as caps and the gold or stainless steel ones as crowns. I just found out I am pregnant, how can this affect my mouth? About half of women who are pregnant experience a condition called pregnancy gingivitis. This condition can be uncomfortable and cause swelling, bleeding redness or tenderness in the gum tissue. 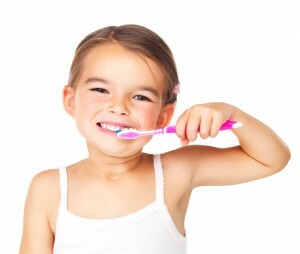 A more advanced oral health condition called periodontal disease (a serious gum infection that destroys attachment fibers and supporting bone that hold teeth in the mouth) may affect the health of your baby. Studies have shown a relationship between periodontal disease and preterm, low birth-weight babies. In fact, pregnant women with periodontal disease may be seven times more likely to have a baby that’s born too early and too small. The likely culprit is a labor-inducing chemical found in oral bacteria called prostaglandin. 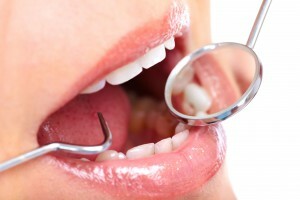 Very high levels of prostaglandin are found in women with severe cases of periodontal disease. How does my diet during pregnancy affect my baby’s teeth? Your diet during the nine months of pregnancy directly impacts the development of your baby- including teeth. Because your baby’s teeth begin to develop during the second trimester of pregnancy, it is important that you receive recommended amount of calcium, protein, phosphorus, and vitamins A, C, and D. Consult your physician and dentist for information about proper diet nutrient levels during your pregnancy. No. While most teeth which have had a root canal treatments do need crowns to strengthen the teeth and to return the teeth to normal form and function, not every tooth needing a crown also needs to have a root canal. The Doctor of Dental Surgery (DDS) and the doctor of Dental Medicine (DMD) degrees are essentially the same degrees. Most dental schools award the DDS degree; however, the education is the same.